If there will be one greatest enemy "Amaya" would have, it could be "Mara Clara"! The mother of all teleseryes "Mara Clara" still lead the different TV ratings both nationwide and in Mega Manila despite the much-promoted premiere of "Amaya"! 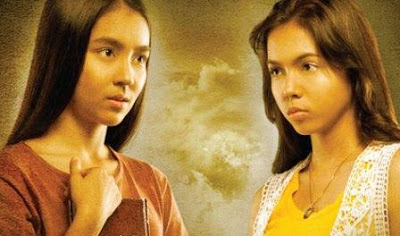 The most-budgeted epic-serye of the Kapuso station failed to grab the No. 1 spot in the TV rating race. What more, the expected 40% pilot rating of this said epic-serye is didn't attained! Sad to say that it didn't even get a 30% pilot rating! Though "Amaya" beat "Minsan Lang Kita Iibigin" in Mega Manila with a very little difference, still "Amaya" failed to defeat "Mara Clara". Sad that the too much promotion of the Kapuso network to "Amaya" didn't works! Can we say that "nauumay na ang tao kay Marian dahil puro na lang lagi siya"? Hope that GMA-7 will give priority to their other talents not only to Marian Rivera. Others even say that: "sana nilagay na lang nila sa hapon since mataas rating ng Dramarama nila."